School Timing from 08-04-2019 for classes VI-XII: 6:10 AM to 11:15 AM. Buses leave the school at 5:00 AM. Change in Date & Time of Admission Aptitude Test for Class XI (2019-20). Refer to Admission Notice 2019-20 for details. School Timing from 08-04-2019 for classes I-V : 7:10 AM to 12:15 PM. Buses leave the school at 6:00 AM. School Timing from 08-04-2019 for classes LKG & UKG: 7:10 AM to 12:15 PM. Buses leave the school at 6:00 AM. School Timing from 08-04-2019 for Nursery: 7:10 AM to 11:15 AM. Buses leave the school at 6:00 AM. Parents, Guardians & Students have to update their Mobile Number in the school system to get SMS regularly from the school off.. 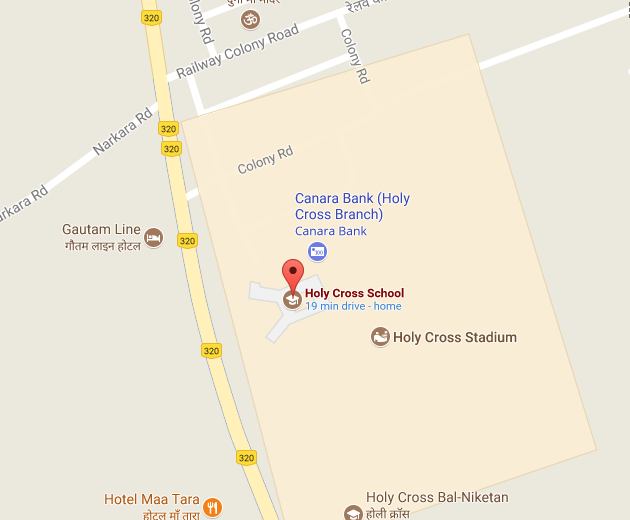 Welcome To The Official Website of Holy Cross School, Bokaro Steel City. Please keep yourself updated with the latest News / Events at school. You may find this in our website ! It is matter of privilege to grab this opportunity to express my views and to intract with the young innovative minds. 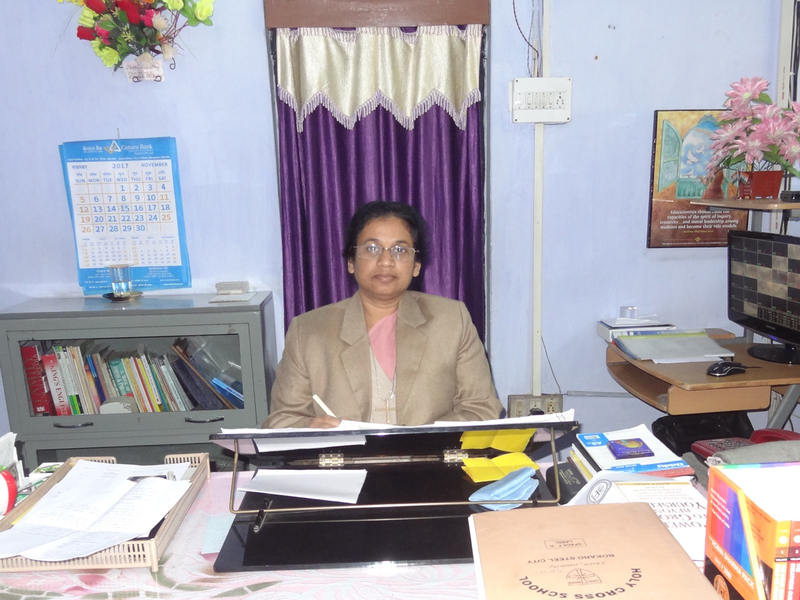 Holy Cross School, Bokaro Steel City, is a Christian Minority School founded in 1974 and managed by the members of the International Christian Women Religious Congregation known as Sisters of Mercy of Holy Cross . Fr. Theodosius Florentini OFM CAP and Mother Maria Theresa Scherer founded this congregation in Switzerland in the year 1856. The school aims at developing the students in totality, to make him/her a perfect creation of God. Top priority is given to character building on sound moral principles. We are proud enough to list the Toppers of Class Xth Class XIIth of Holy Cross School. We here teach not only education but also humanity and morality which will motivate the students to become a better human in future. Thus serving our Nation in a better way. Education is the backbone for students. We hire highly qualified faculties to deliver this. We provide good quality education. We take utmost care of students. Admission is open to all irrespective of caste, colour or creed School’s main aims are to impart quality education to both boys and girls of all communities and to prepare them to live and act as useful citizens of India. We also endeavor to awake in the young minds ardent feelings of Patriotism, Nationalism and Secularism. Emphasis is also laid to adopt the culture and good traditions of our great nation.